Inspired by the Thursday Doors at Norm 2.0 via The Chicago Files here are a couple of doors that caught my attention. The first two pictures are of the splendid doors to the Post Office on 1st Street in San Jose, California. The third photo is of a doorway in the emergency waiting room at the Royal Alexandra Hospital in Edmonton, Alberta. It made me smile because it reminded me of the seaside at a time when I was in a lot of pain. I needed that! C Side Door at Royal Alexandra Hospital, Edmonton, Alberta. I have a thing for doors too. It’s such a shame that my own personal one the standard white door from Home Depot. I should change that. Thanks for getting me thinking! I was looking at my own standard white interior doors and wondering why they have panels. I have far too much time on my hands! That top one is very elegant! I also like the reflections you caught there. 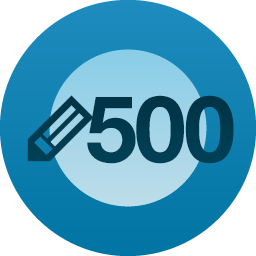 Congratulations on the 500th post. Just letting you know, the link in your comment on Norm’s post didn’t work. Thank you for the kind words. Also, thanks for the heads up on the link. I will check it out. The pingback worked (just tried it), but the link in the comment didn’t. It’s quite remarkable for a post office! Thanks for the theme.